Colin Powell is a hero of mine for many reasons. He rose to the rank of four-star general in the United States Army. He was the first African-American to serve as Chairman of the Joint Chiefs of Staff and as Secretary of State. To the best of my knowledge, he was the first ROTC-commissioned officer to become chair of the Joint Chiefs. Powell has served his country as a diplomat under three U. S. Presidents. He is a Republican who refuses to be partisan. And, most of all, he doesn’t take himself too seriously. One of Powell’s greatest talents, however, is his skill as a story teller. Colin told the story of his rise from the streets of the South Bronx to halls of power around the world in A Soldier’s Story (2001) and My American Journey (2003). Others have written about his diplomatic work and his leadership philosophy. 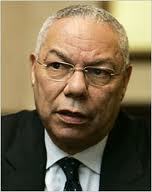 In It Worked for Me, Powell shares his own approach to leadership, personal responsibility, relationships, and work. Although his anecdotes about various world leaders and celebrities are interesting, he also shares stories about the little known people who helped him along the way and the Army officers with whom he served. One of the more humorous essays concerns his pet peeves as he travels today as a professional speaker—unfamiliar plumbing fixtures for example. I highly recommend this book. Although Powell tends to see military life through rose colored glasses, he is on target with his assessment that it is one of the few institutions where a person from an impoverished and/or minority background can succeed through hard work, discipline, and commitment. Once you have read the book, you will understand why he is one of the most popular motivational speakers on the circuit today. How does ritual function as individual and communal practices of care? 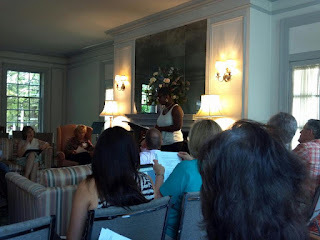 This was one of the questions addressed by Dr. Nichole Phillips during a continuing education workshop sponsored by the Pastoral Counseling Centers of Tennessee. Dr. Phillips explained how rituals (including but not limited to worship practices) can reaffirm meaning, bond community, deal with ambivalence and emotional conflicts, and establish a sense of order. Those practices that are most meaningful to us in communities of faith can be very important to pastoral care as well. As we discussed this idea, I reflected on my experiences during Cooperative Baptist Fellowship’s annual General Assemblies. The recent meeting in Forth Worth was like those of previous years but even more so than usual. Planners seemed to have intentionally built in additional time for us to practice some of those rituals. There are rituals that take place during plenary sessions—voting on the budget, commissioning missionaries, and participating in communion—but I am thinking more in terms of the rituals that take place in the hallways, Gathering Place (exhibitors area), coffee shops, and ballrooms. These are rituals like hugs, handshakes, conversations, and “breaking bread” together in both formal and informal meal times. The rituals of touch, conversation, eating, and hospitality show Fellowship Baptists at their best. They love to connect, affirm, and encourage one another. In the early days of the Fellowship, these annual meetings helped to ease the grief and process the anger of loss. Today, the meetings provide the opportunity to use these rituals to encourage one another and welcome a younger generation into the family. Business and even worship could be conducted online by the Fellowship, but virtual meetings will never be able to provide for these vital rituals. These are the practices that keep us going. In his book What Got You Here Won't Get You There: How Successful People Become Even More Successful, Marshall Goldsmith points out that certain skills may enable a person to reach a specific level of responsibility, but those same skills will not necessarily carry that person to the next level of leadership; in fact, those skills may get in the way. This came to mind as I reflected recently on the situation that many pastors find themselves in. Some senior pastors are in “over their heads.” A certain skill set has carried them to places of senior leadership, but they often find themselves stymied as they attempt to lead at that level of responsibility. 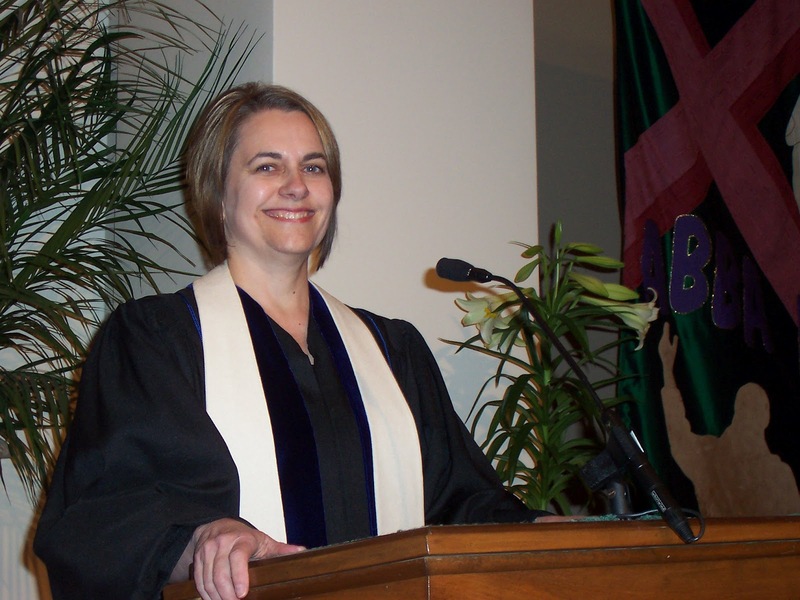 Most pastors in Baptist life start in smaller congregations and move to larger ones. As they move from church to church, the number of parishioners increases, the staff becomes more numerous, the facilities become larger, and the budget grows. 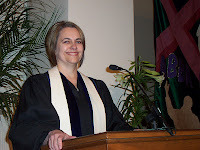 The minister who was called to increasingly larger churches due to good pulpit skills and the ability to get along with the people in the pew suddenly (it seems) finds himself or herself with major administrative and leadership responsibilities that require a different set of skills than those that got the pastor there. There are exceptions, of course. Some ministers have the opportunity to serve in a staff position as an associate pastor, minister of Christian education, or minister to students and gain experience working in a larger church, but this is not always seen as the kind of experience needed to pastor a church. These folks are often passed over by a pastor search committee because they have not been THE pastor of a church. The pastor of a good-sized church (you can define the size) needs skills that were not taught in seminary and he or she has probably not acquired in smaller congregations. A key example is staff team leadership and supervision. It is one thing to supervise part-time staff—ministerial, administrative, or custodial. It is quite another to work with trained, experienced people who may be senior to the pastor in tenure. Another ability that many pastors have not acquired is casting a vision. Although “the vision thing” is often the subject of satire among ministers, a church suffers is the pastor is not able to align the staff and people and move them toward a goal that they all can embrace or at least accept! Developing and maintaining momentum is another skill that pastors need and often have not acquired. Once a vision has been identified, the pastor becomes the “cheer leader” or “drover” much like Moses leading the “mixed multitude” through the wilderness—from here to there. Where can a pastor acquire these and other necessary skills? 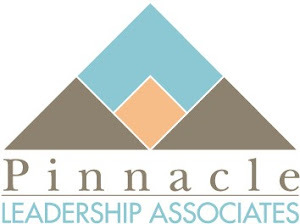 Fortunately, theological institutions have become aware of this need and are beginning to provide leadership development resources for present students, alumni, and other interested ministers. 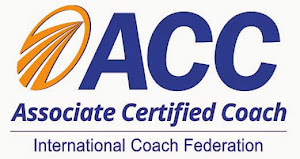 Other organizations provide peer group, training, coaching, and mentoring opportunities. Of course, these resources only help if a pastor takes advantage of them! An old Chinese saying is, “When the student is ready, the teacher will appear.” If you are ready, the teachers are available. Take advantage of them. 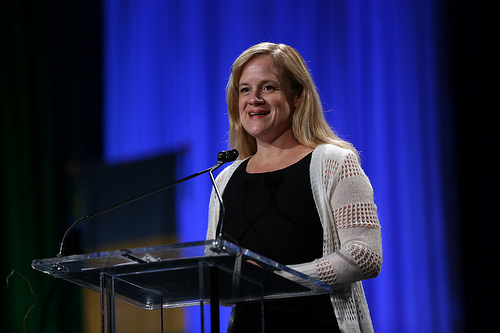 “Welcome to the Family” was an appropriate phrase to describe the Cooperative Baptist Fellowship General Assembly that drew 1,625 Fellowship Baptists to Fort Worth, Texas, last week. There was no controversy, little anxiety, and a lot of family-type fellowship. The two landmark events were the retirement of Daniel Vestal, who has served as executive coordinator of CBF for 15 years, and the adoption of the recommendations of the 2012 Task Force. Together these communicate a time of transition in Cooperative Baptist life but there seemed little concern or fear about the future. Certainly, there may be some anxiety among Fellowship staff members during this time of change, but the average Fellowship Baptist is not overly concerned but rather seems expectant and excited about the future of the Fellowship. 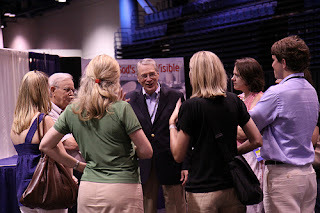 During the closing session, Vestal was characterized in a letter from Richard Hamm of Christian Churches Together as the person who led Cooperative Baptists from “we are not them” to “this is who we are.” He delivered an earnest message based on Ephesians 3:20-21 that challenged Fellowship Baptists to do “infinitely more” with God and through the power of God. Vestal has been a stabilizing force as CBF has moved from a reactive to a proactive stance. The Task Force report was adopted easily and with only one minor change recommended in the break-out discussion. The goal of the Task Force was to provide a way for CBF to do “seamless cooperative ministry” and to find “new expressions of ministry.” The greatest gift of the Task Force process may have been the way that it brought together several generations of leadership so that they could listen, learn, and formulate a plan. Fellowship Baptists seem to be at their best when they can come together in diverse groups of ten to 15 participants where people can get to know each other and practice respectful discernment. This is a significant improvement over the way that denominational politics is usually practiced. I think we will see the “respectful discernment” process at work in the Search Committee for the next executive coordinator. I came away from the meeting with the impression that Fellowship Baptists are ready to respond to effective leadership. 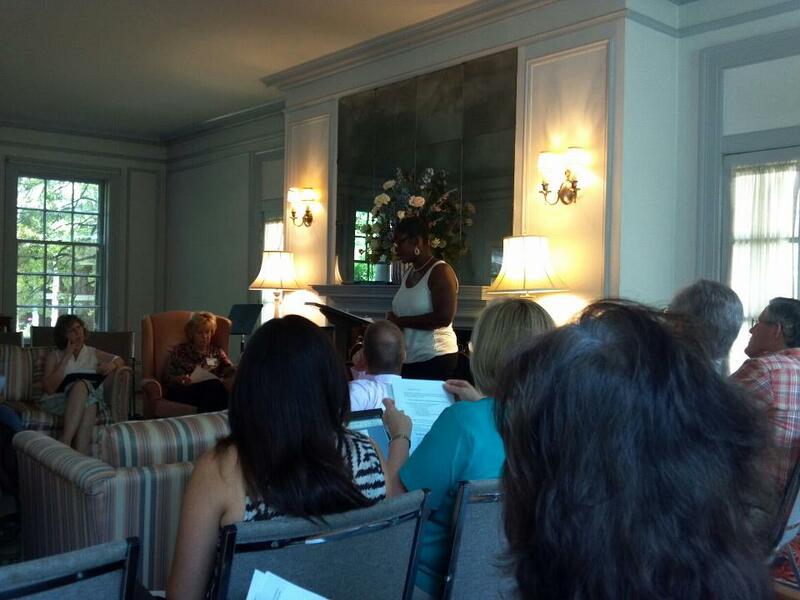 Moderator Colleen Burroughs received a spontaneous and extended standing ovation after her report. Incoming moderator Keith Herron was warmly welcomed as well. David Hull and the other members of the Task Force were affirmed for their long and tedious work. When Fellowship Baptists see those of their number leading with integrity and confidence, they will respond with enthusiasm. Vestal's powerful sermon marks the end of an era for Fellowship Baptists while pointing to a new day. We do not know the way forward but it will be different. The Fellowship has three different generations of leaders. The “old guard” is made up of people like Vestal and myself. We thrived in the old denominational context but we saw that taken away and have sought to find a new home. The struggle saddled us with a sense of loss and we have worked to feel comfortable in a new place. A second generation was caught on the cusp of the change. They came of age in ministry about the time that the Southern Baptist Convention was no longer a welcoming home. They followed the “old guard” in forming a new identity and became the real foot soldiers of the movement. The third generation of leaders is made up of those who do not remember the “Holy War.” CBF is the only home many of these young Baptists have known. They do not carry the fears of the past but they have their own challenges—facing limiting circumstances, addressing issues of church health and vitality, overcoming the past while embracing what is good about it, and dealing with relevant ethical issues with integrity. Although the next executive coordinator of CBF will probably come from the “second wave” of Fellowship leaders, he or she must know how to listen and respond to the needs of the “third wave.” I believe that Fellowship Baptists finally realize that our way is forward and not back. There is nothing in Egypt for us, so we press on to the Promised Land. “Bein’ a cat herder is probably the toughest thing I have ever done,” says a grizzled cat herder in the EDS commercial shown during the 2009 Super Bowl. The humorous commercial depicts the challenge of herding “10,000 short hairs” to market. Attempting to get independent creatures such as cats to follow any kind of direction is not easy and comes with some scratches. When I see this commercial, I am reminded how challenging it is to work with Baptists. We are congregational in polity and individualistic in practice. As a result, those who would attempt to lead either a church or a “denomination-like” organization find themselves “herding cats.” As Baptists, we are defensive not only about our congregational autonomy but our individual freedom as well. We have taken the doctrine of the priesthood of the believer in one primary direction: “It’s just you and me, God.” If we think about the doctrine as the priesthood of ALL believers, we may understand that we are not simply our own priest before God but priests to each other as well. The commercial is very appropriate as Fellowship Baptists head to Fort Worth next week. The Texas city was built around herds—cattle not cats—coming to market. The wrangler image may well apply to those who attempt to lead the Fellowship. Both founding coordinator Cecil Sherman and present (and retiring) coordinator Daniel Vestal had Texas roots. Perhaps this background uniquely qualified them to lead Fellowship Baptists through challenging times. They found ways to unite freedom loving Baptists to work together to achieve important goals. The Cooperative Baptist Fellowship faces a significant challenge as it changes leadership and considers a new organizational structure. Decisions made this year and next will determine the success or failure of the CBF movement. Not only religious but cultural forces tend to push Baptists apart rather than pulling them together. It will take a skilled “cat herder” to lead us into the future—whether he or she is from Texas or not! You may have heard about the mosque being built by the Muslim community in my hometown of Murfreesboro, Tennessee. After county officials approved the building and issued a permit, concerned local citizens brought suit to block construction. Charges by the opponents ranged from notification errors on the part of the county planners to fear that the mosque would be a place to train terrorists and promote the adoption of Sharia law. While construction continued, the case dragged on with the judge finally ruling that Islam was indeed a religion with all the rights guaranteed by the Constitution and that the Rutherford County Regional Planning Commission had erred in the way they handled the case. The response of the commission is that the judge is calling upon them to discriminate on the basis of religion. They will appeal his decision. 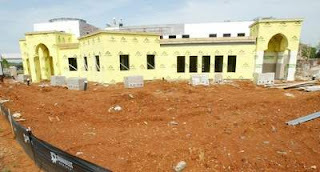 Meanwhile, the building of the mosque continues with the goals of completion and occupancy by the beginning of Ramadan. An article in the Daily News Journal today includes the comment by a commissioner that the judge was asking the commission “to treat the Islamic Center in a different way than how it approved construction plans for Grace Baptist Church next door.” The debate will go on, but the comment about the Baptist church caught my attention. Many forget that our many of our Baptist forebears came to “the colonies” (what would become the United States of America) so that they could escape persecution for their beliefs. Their beliefs and practices were out of step with the state church in Great Britain. Even here, they often found themselves attacked by the establishment because they seen as lawless rabble who refused to be controlled. Some government leaders seemed to think they were a threat to society and should be suppressed. Fast forward to 2012. Who would our Baptist mothers and fathers support in this debate in Murfreesboro? They might not understand about zoning laws and advertising in local papers, but they would stand for every man and woman to have the opportunity to freely assemble and worship without harassment. When Alien came to the screen in 1979, moviegoers were confronted with the anti-Star Wars. The mood was dark, the spaceship Nostromo was an unappealing wreck of a workhorse, the shocks were sudden and messy, and the crew was expendable. Ridley Scott not only launched a franchise of creepy films but he also put his stamp on science fiction cinema. As with Blade Runner, his vision was unique and disturbing. In Prometheus, Scott returns to the word of Alien but at an earlier time, one closer to our own. The film is beautifully done with remarkable sets, special effects, and cinematography. The actors are capable but one never really engages with them, certainly not like viewers did with Ripley (Sigourney Weaver) in Alien. 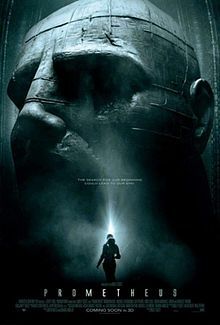 There are many similarities between Alien and Prometheus—a mysterious planet, an android with questionable motives, an evil corporation, a heroine who endures more pain than anyone should have to bear, working class crew members, and stomach churning creature effects. Perhaps the similarities are the reason that Prometheus is far from fresh and ground-breaking. We have seen all this before. [Warning: Spoilers ahead.] What’s good about the film? Noomi Rapace is attractive and earnest as Dr. Elizabeth Shaw. She is a capable actor who is given little range for her talents in this performance. We squirm at the suffering she endures but finally come to the point that we no longer believe that a person can endure all of this and still survive. Michael Fassbender is sufficiently creepy as David, the android who patterns his impersonation of being human on the Peter O’Toole’s performance in Lawrence of Arabia, but his role in the plot is so ambiguous that it becomes a parody. Idris Elba is sufficiently quirky and finally heroic as Captain Janek but his final act of sacrifice seems almost trivial and anti-climatic. Yes, those are the good parts. If there is any theological question raised here, it is theodicy—the problem of human suffering. Why would the Creator want to destroy those created? If God gave us life, why does God allow pestilence, disaster, and humanity’s abuse of itself? Is this all an attack by the Creator on the created? Of course, Dr. Shaw is left with that question at the end of the film. Will it be resolved in the sequel (of course, there will be a sequel)? Probably, but I am not sure that I really care. I will do my theology elsewhere. I certainly can sympathize with the question. Every organization we lead must change in order to be vital and relevant but there is a natural reluctance to “being changed.” Because our churches and ministries are composed of living beings, they are already changing every day! Everyone with whom we work is growing older and facing new life challenges daily. This is not a matter of choice but something that is forced upon us as long as we live. If the individuals in the organization are changing, can the organization avoid change for long? At the same time, I realize that people in organizations naturally resist change even when it is needed. Leaders rarely have a mandate to make sweeping changes in their organizations. Even when a church tells the pastor “We want to grow,” members are rarely willing to make the big changes required for growth to happen. What’s the alternative? I suggest starting small. If a leader has a new idea or process to introduce into the church or organization, he or she would do well to try it out with a small group first. Do you have a new approach to spiritual formation or Bible study? Invite a few individuals who are ready to try something new to join together and practice the innovation. If it works for them, then you have a satisfied group who will share the concept with others. If it doesn’t work, perhaps it can be fine tuned and adjusted for greater effectiveness. Every church needs a “research and development” component that is trying out new approaches. If they work, then they can be “mainstreamed” into church life. Even small changes are generative and may produce the momentum for major change. You have to start somewhere. A person must have an outsized ego to approach the author of biographies of Albert Einstein and Benjamin Franklin to write his biography. Steve Jobs seems to have had no problem asking Walter Isaacson to undertake that assignment. Once you read Isaacson’s Steve Jobs, you realize that the founder of Apple thought he had earned the right to be in the company of such great thinkers/innovators. Although Jobs cooperated with the author, he sought no control over the biography and did not ask to read it before it was published. His whole life was about being in control, but he encouraged all those interviewed by Isaacson to be completely candid and pull no punches—and they did just that! The result is a comprehensive and frank account of the life of the late wunderkind. Jobs was a genius. He was also cruel, rude, obsessive, and controlling. He hurt many people both personally and professionally. In the pursuit of a goal, he let no one stand in his way and would not hesitate to run down, push aside, or destroy anyone who got in this way. So why would anyone want to read his biography? Because he was a genius (see comment above). His genius was expressed in many ways. One was his ability to marry technology and the humanities. 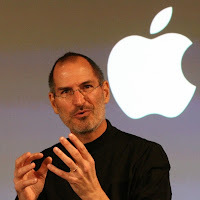 Jobs was obsessive about the quality and design of what his companies produced whether it was a computer or a digital motion picture. Just pick up any Apple product, even the simple iPod or iPhone, and you will be struck by the simplicity, beauty and functionality of its design. His genius was also exhibited in his ability to take discrete items that others had created, put them together in new and creative ways, and create a niche for the product. No one was clamoring for a portable hard drive that would hold thousands of songs when Apple produced the iPod, but it became a tremendous success that provided the basis for the iPhone and the iPad. I must admit that I am a convert to Apple products. My first purchase was an iPod that I used occasionally to listen to music and podcasts when I walked. Then I was given an iPad and I was thrilled by its capabilities. When I changed smart phones recently, I bought a low-end iPhone, and I must admit that my next laptop computer will probably be an Apple product. I have been seduced by the Dark Side! Isaacson would certainly admit that there is fine line between genius and insanity. Steve Jobs walked that line precariously. Would I have liked to have known or worked with Jobs? No. Will I use the products and processes that he conceived and blessed? Yes, because they are user-friendly, accessible, and enhance my own creativity. This biography of Steve Jobs reminds us that one person can make a tremendous contribution to culture, business, and society even if he or she is not the nicest person in the room. And that makes me both laugh and cry.